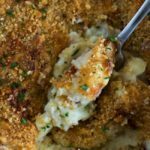 Perfect mashed potatoes are creamy, super fluffy, and make the best accompaniment to the turkey on Thanksgiving. Load them up with butter and gravy and you’ll be in turkey-day heaven! **This recipe was originally posted in November 2014. The photos have since been updated and the method tweaked. I’m often asked what my favorite food is. And as any foodie probably does, I have a lot. Favorite snack is popcorn, tomatoes are always a summer fav, and when it comes to comfort food it’s all about the best baked macaroni and cheese. As for my favorite side dish, it’s (as you probably guessed by now) mashed potatoes. Mashed potatoes have always been a favorite of mine. I’ll go months without eating them and then when I have them, I remember just how much I love them. 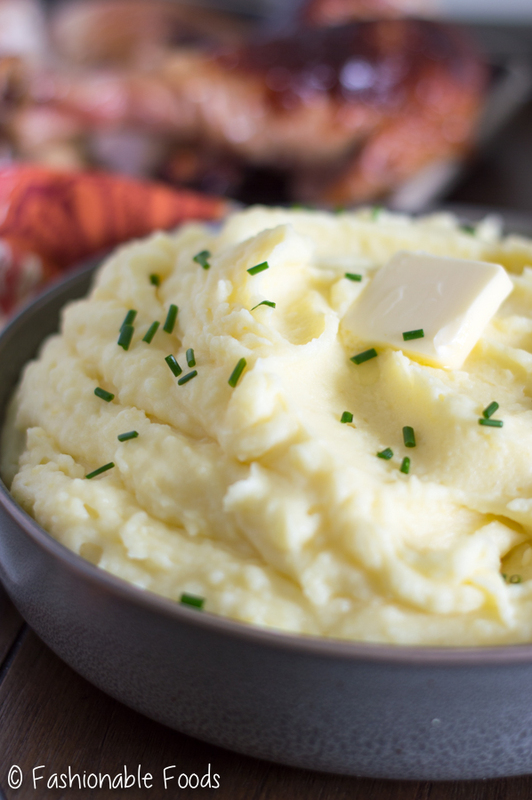 I just can’t resist fluffy, creamy, and buttery mashed potatoes. After all, they are a staple at the Thanksgiving table! 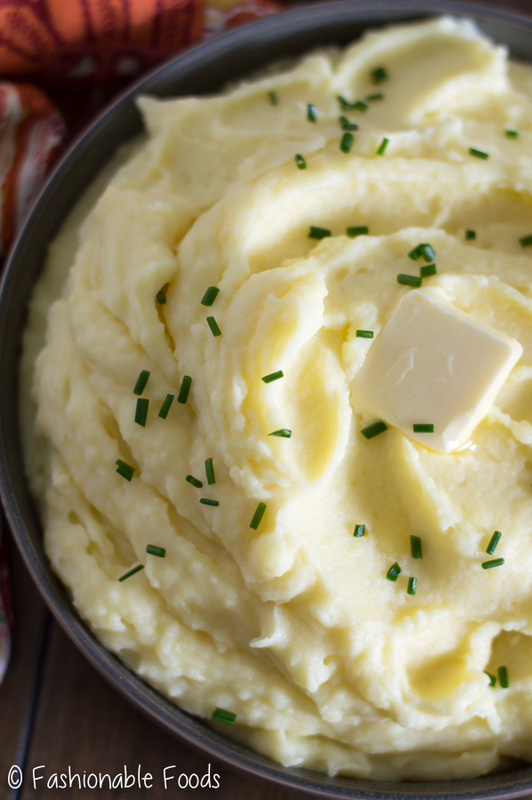 My recipe uses simple ingredients and yields perfect mashed potatoes every single time. 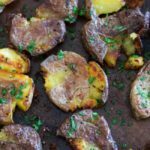 What is my secret to fluffy potatoes? Well, there’s 2 secrets. Using a ricer and whipping them with my stand mixer. If you don’t have a ricer, get one! Seriously, it makes a HUGE difference. If you don’t have a stand mixer, that’s ok since you can use a hand mixer instead. I know, I know…it’s a lot of steps. But, using this method is totally worth it (in my opinion), plus you can do the work ahead of time! You’ll want to start with the right potatoes. I recommend yukon gold or russet as they give you the best texture. Red potatoes tend to be too waxy, so I try and avoid using them for mashed potatoes. Next, scrub them well and peel (always the worst part). As for cutting them, I like to leave them whole if possible. I try to pick out potatoes that are similar in size, but it’s near impossible to get them perfect. So, I leave the medium ones whole and cut the larger ones in half. Once you have then peeled and cut, cover them with cold water. You always want to boil potatoes in cold water so that they cook evenly! Once the water is at a full boil, add a few pinches of salt and remove the lid. Let them boil for 20-25 minutes or until the potatoes pierce easily with a fork. Drain them and return to the hot pot. This next step is very important! You want to place the pot back on low heat to allow any excess liquid to evaporate. This will ensure you end up with fluffy mashed potatoes instead of gummy waterlogged potatoes. After the excess liquid has evaporated, use your ricer to rice the potatoes directly into your mixer bowl and get whipping. Now, I know what you’re thinking. Using the mixer means one more thing to wash, but I promise it’s worth it – plus you can just toss it in the dishwasher. I’m a purist when it comes to mashed potatoes – I don’t want garlic flavored, cheese mixed in, or anything fancy – at least for a holiday meal! 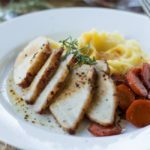 The turkey and gravy provide lots of flavor and the mashed potatoes are the perfect side to that. You can flavor them however you want, though! For me, it’s just butter, salt, and milk to make things creamy. When you’re mixing the potatoes, add in some softened butter and lots of salt. 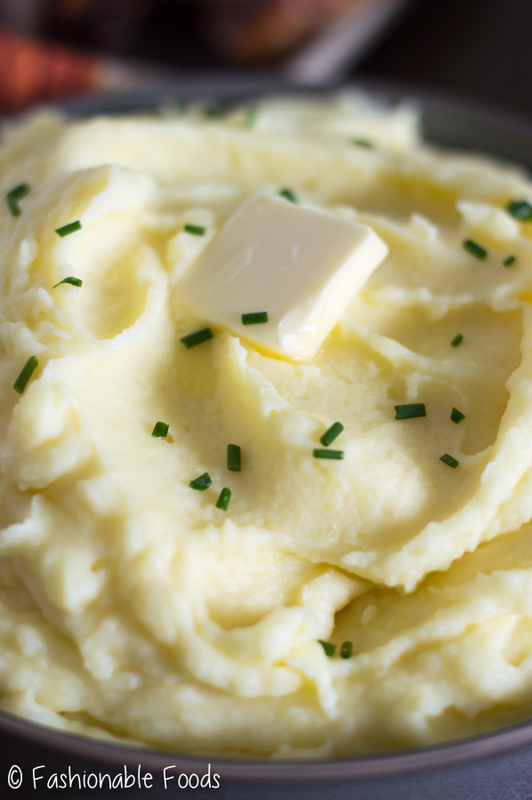 The trick to great tasting mashed potatoes is making sure they get enough salt! So, make sure you salt to taste! You won’t need to whip the potatoes very long, just enough to get some air into them so they are nice and fluffy. Then, pour in warm milk until your desired consistency. I like mine kind of loose and super creamy so I tend to add all of the milk in the recipe. Start with yukon gold or russet potatoes. Get the excess water out by heating the cooked potatoes over low heat. Use a ricer for lump-free potatoes! 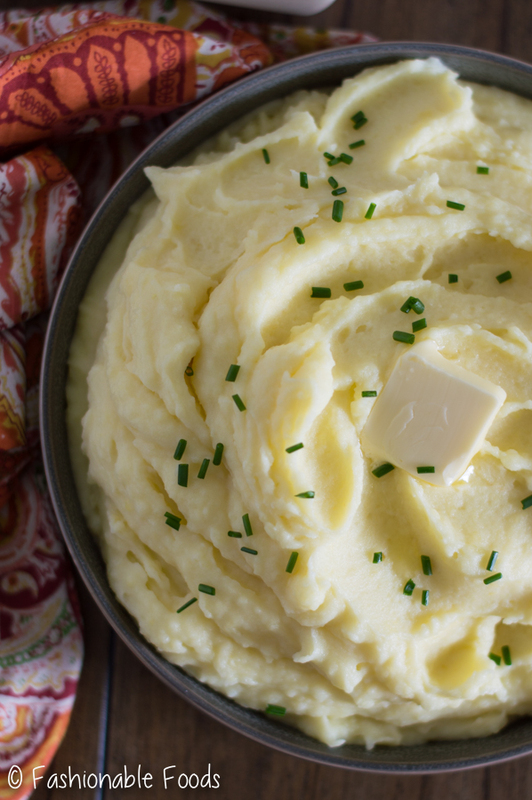 Whip air into your potatoes for a super fluffy mash. Use room temperature butter so it melts easily, plenty of salt, and warm milk until you reach desired consistency. 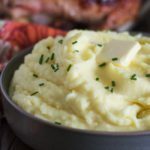 With this technique you’ll end up with perfect mashed potatoes every single time! And, if you’re looking to do some of the work ahead, you can actually make your mashed potatoes up to a month ahead! To do them ahead, make as many mashed potatoes as you’ll need, scoop ’em out onto parchment-lined baking sheets (I use an ice cream scoop for this) and freeze them until solid. Transfer the potato mounds to freezer bags and store for up to 1 month. 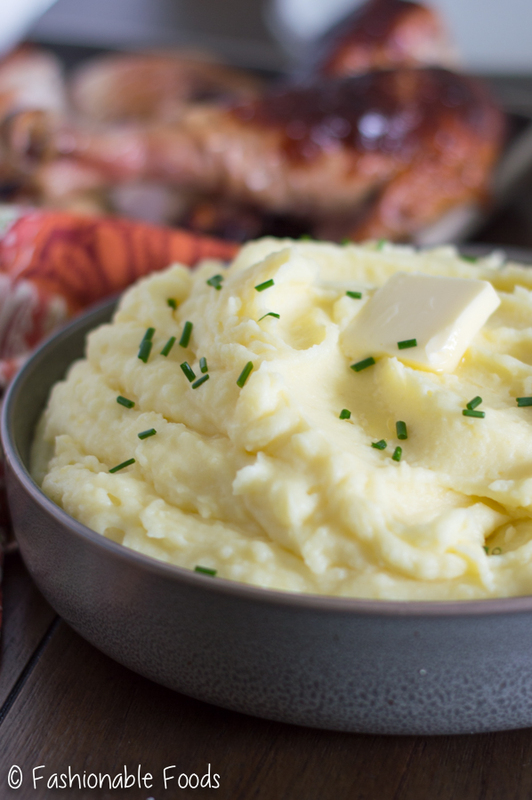 The day before you plan on serving mashed potatoes, thaw what you need in the fridge and then just heat them over the stove, adding extra milk and butter as needed to get them to your preferred consistency. This is a HUGE holiday time saver and I promise, they are just as good as when they were made fresh. 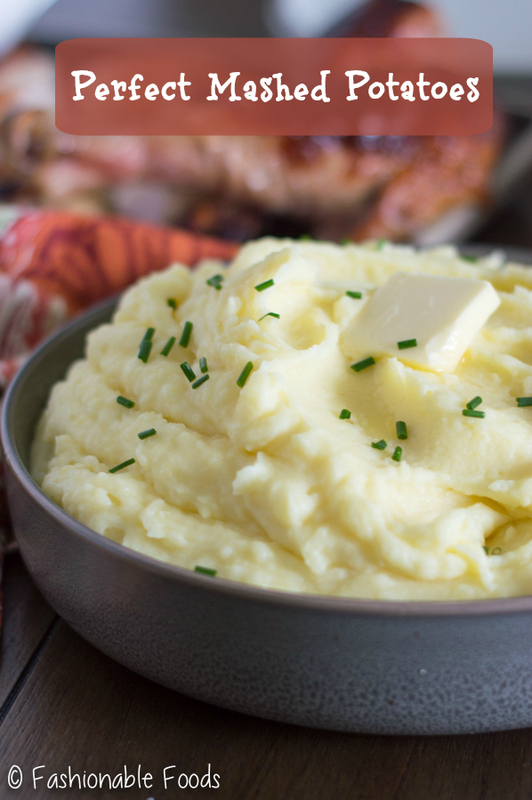 Fluffy mashed potatoes are the perfect accompaniment to the turkey on Thanksgiving. Load them up with butter and gravy and you’ll be in turkey-day heaven! Place the potatoes in a large pot and cover with cold water. Cover and bring the water to a rolling boil. Remove the lid and add in a few pinches of salt. Cook the potatoes uncovered for 10-15 minutes, or until they pierce easily with a fork. Don’t overcook the potatoes! Drain the potatoes well and place them back in the pot. Put the pot back on to the stove, turn the heat to low and allow the potatoes to dry out for a minute or two. This step helps ensure fluffy potatoes. Using a ricer, rice the potatoes into the bowl of a stand mixer fitted with the paddle attachment. Whip the potatoes on low speed until they are all mashed, stopping to scrape down the sides as you go.Add in the butter and season generously with salt. Whip the potatoes on speed 6 for 30 seconds to 1 minute, they will become super fluffy! Turn the mixer to low speed and slowly pour in the milk until the desired consistency is achieved. I like my mashed potatoes loose and super creamy, so I typically use all of the milk. This will also depend on the size of your potatoes - if they are smaller you won't need all of the milk. Taste for seasoning and add more salt if needed. Transfer to a serving bowl and serve! You can easily adjust this recipe for the amount you are serving. It's easily doubled or cut in half. However, if you remember my simple mashed potato "formula" you can make any amount perfect every time! For every medium-large potato add 2 tablespoons milk and 1 tablespoon unsalted butter. Make the recipe as written and scoop the mashed potatoes onto parchment-lined baking sheets using a cookie scoop. Freeze until frozen solid and then transfer the mounds to freezer bags. Store for up to 1 month. Thaw the day before you want to serve and reheat in a pot over the stove adding additional milk and butter as necessary to get your preferred consistency. 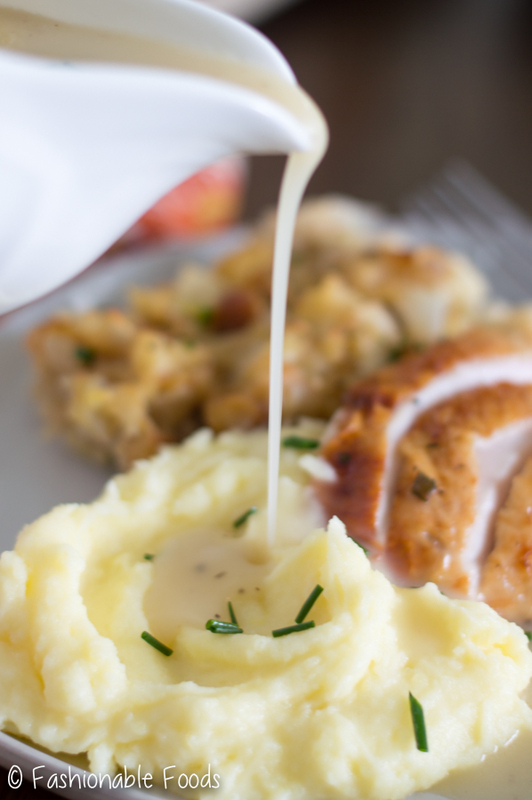 Today, I gave your mashed potatoes recipe a try….